Hello Everyone! Me and other members of PermaWave came up with some ideas and we want to see what everyone thinks. **we talked about how necessary it is to research the groups that we want to work with and that any benefit or fundraiser we put together in their honor that they are involved in that process and we understand the nature of the work that they do. We also see these benefits as opportunities for alliances and as partnerships for future events and plans of action. We need to have a meeting that focuses on the goals of this group and how we want to go about achieving them, we need to discuss how we want to organize, plan, and execute). We think that we could get a lot out of our 2 hour meetings together if we form a sort of malleable organizational structure. We talked about having a group of "organizers" that helps with making the agenda (planning meetings), helps with the planning of anything PermaWave does, a group of "designers/artists/pamphet/brochures" that makes sure our stickers are printed, our zines are made and so on, people that facilitate meaning "execution and mobilizing efforts" therefore executing the bake sales, the benefit shows and so on, and we were also thinking about people focused on "research/education" so we are fully aware of what is going on with different groups and organizations in the bay and what their causes are...our own education is so important. 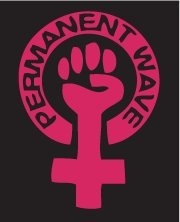 All of these groups would be responsible for making sure everyone in PermaWave is involved in their group's efforts, for instance people putting the zines together and would make sure that everyone in the group is contributing their art and their input...and no one is confined to their group but it helps with structure. Are there any other groups that we should think about making? We need to talk about what groups we want to target and creative ways to get them involved with our efforts and help them with their causes with shows, bike races, anything really. Are there any other group goals that people can think of? 2) At he next meeting we I think we should create a list of group agreements. For instance "don't yuck my yum" (meaning don't say anything negative about someone's interests or things they like), "One Diva, One Mic" (don't talk over, interrupt, or hold side conversations when someone is talking), Confidentiality, etc. We can have this paper up on the wall at all of our meetings and we can change or add agreements at any time. 3)We want the focus of the next meeting to be on "Privilege". We think this is an important topic to bring up before we move on with any initiatives. Lindsey, Char, Nic and I have ideas for two short exercises that will help us open up discussion around "privilege". This will also aid in our "ensemble building" efforts as well as helping us figure out what we want the goals for PermaWave to be. ***For this meeting we will need everyone to anonymously write on a piece of paper and put in an envelope one way that you have been oppressed and one way that you have oppressed others. If this kind of meeting structure is effective maybe we can continue to use it. This is just a suggestion and we are open to any style of meeting. Let us know what you think!!! >doing lots of "guerilla grrrrls" stickering, wheatpasting, postering around the Bay. Is this Marissa posting? Please write a quick intro in the "getting to know you" thread so everyone knows who's behind the username! This post contains really great ideas that will help our group move forward. Thank you for taking the initiative to outline them. I spaced out about the documentary screening - it's actually on 2/16, the night before our scheduled meeting. Do we want to wait until March 4 as you suggested so that the meeting can be better-planned, or shall we keep the 2/17 meeting? Let me know and I'll change the meetings forum accordingly. Forming groups to handle different aspects of operations would definitely help things run smoother. Same with having an agenda for each meeting - not only will we get more out of them, but we can all come better-prepared if we know what topics we'll be covering and what to expect for general structure. And the ensemble-building and workshops will strengthen us as a community and a change-making group. Agreeing on rules to guide our space is really necessary - I'm a summer camp counselor, and for some reason on Sunday during the meeting I started thinking about how we establish rules within each group of campers to create a safe space. And then I thought, "We should probably do it in our group, too!" Come to think of it, the ones we use at my camp are pretty good and overlap with the ones Marissa suggested - attentive listening ("one diva, one mic"), no put-downs ("don't yuck my yum"), appreciations (letting other members know how you value their contributions and ideas), right to pass (if we're sharing, you always have the option to skip your turn without explanation), and confidentiality (what we say at meetings stays in the group). How do these ground rules sound? If they're good enough for seven-year-olds that my camp is secretly trying to turn into anti-racist anti-colonialist feminists, they might be good enough for us. All the long-term goals sound great, too! Again, thank you for making such a comprehensive post. I look forward to seeing everyone's input on your suggestions. Just wanted to make a quick comment on oppression (if such a thing is possible) before I forget...I think it's really important, if we discuss oppressions, to make sure that we're in consensus about how we're defining it (same with privilege). I've seen discussion where this wasn't done take some bad/hurtful turns. A lot of really awful things have happened to people that aren't "oppression" per se...it can be tough when these kinds of personal issues are brought up, but then dismissed because they aren't technically oppression. I think that's one way that "oppression Olympics" get started, so it's better if people know in the first place how we're defining things. Yes, I am a nerd. aemilius wrote: Just wanted to make a quick comment on oppression (if such a thing is possible) before I forget...I think it's really important, if we discuss oppressions, to make sure that we're in consensus about how we're defining it (same with privilege). I've seen discussion where this wasn't done take some bad/hurtful turns. A lot of really awful things have happened to people that aren't "oppression" per se...it can be tough when these kinds of personal issues are brought up, but then dismissed because they aren't technically oppression. I think that's one way that "oppression Olympics" get started, so it's better if people know in the first place how we're defining things. Yes, I am a nerd. I think this is super important also! Although, I don't think there is one definition of privilege or oppression. Obviously there is in in the dictionary, but in terms of actual lived experience, I don't think there is. Oppression has many faces, it is institutional and systematic, but it can also manifest itself through smaller experiences. One of the most important things about the privilege/oppression discussion is that there are layering levels of privilege and oppression, that there are several different types. The exercise where people come prepared with one way they feel they've been oppressed and one way they feel they may have oppressed others is designed to address that, I think. What oppression means to each individual will vary, but that is because all of us are different and have experienced different things. But I definitely agree with Emily on making sure that the discussion does not stray into any territory that is triggering or hurtful to any of the group members.